We offer commercial properties, sez india, leased properties in Gurgaon, Delhi, leased commercial property, commercial property for lease etc that are spacious enough to establish and grow business. We allow to choose from over 900 world class business locations for the business to flourish. Our commercial sector properties are very popular among the business people. We offer transparency in business dealing that worth for the money of the clients. We do Sales, Purchase and Renting/Leasing of Residential, Commercial offices and Retail outlets. Our commercial sector properties are the most sought after among the business people. Fully furnished office space- every thing you need to start working. Office space what you want when and where you need, with office plans that’s right for your business. 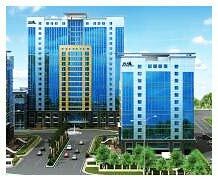 Space available in Commercial, IT sector and SEZs with state of art services matching Global standard.